Corona encourages you to "Find Your Beach". We decided to take that concept to a new level, and bring the beach into the city. Corona encourages you to “Find Your Beach”. We decided to take that concept to a new level, and bring the beach into the city. 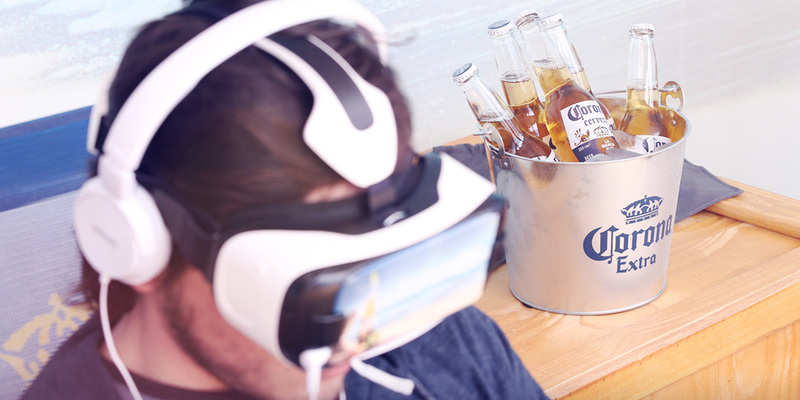 On a regular October day, we had people try a full Corona 360° Beach Experience at one of the most touristic points of the city. 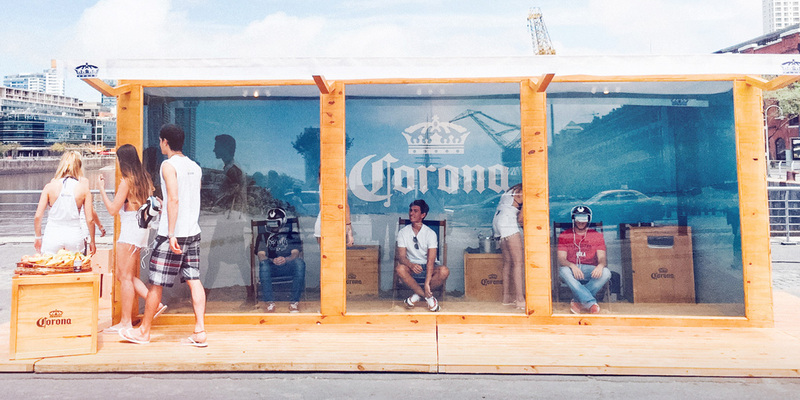 The activation featured a climate-controlled container with misting fans to emulate a remarkable beach experience. 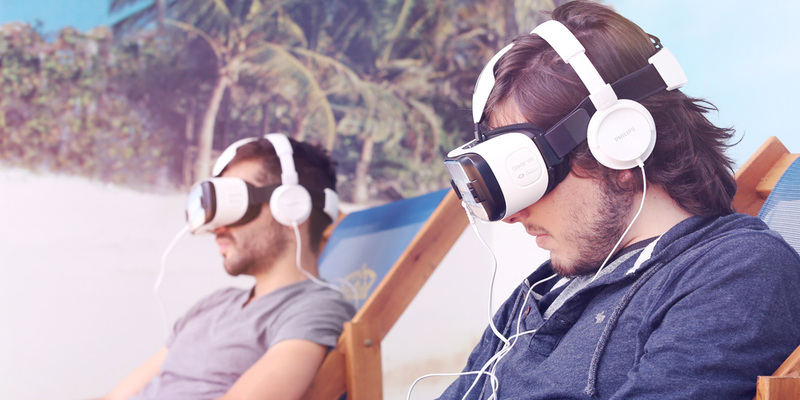 Inside the container, people were be able to try the 360° VR technology and relax as if they were on the beach. This setting gave them a unique chance to disconnect from their daily routine, turning a normal day into a memorable one. 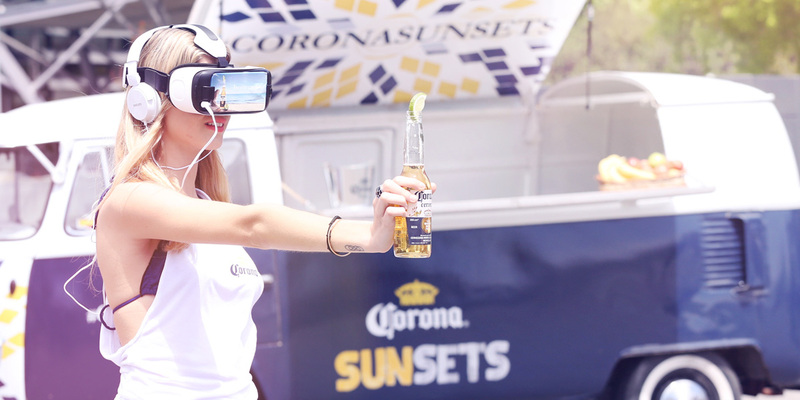 We invited specialized press on Technology and Sports, who received a media kit along with a Corona and a lime, and a Google Cardboard (VR glasses) so they could take the experience anywhere they wanted with the help of their smartphones. As for the Social Media, we implemented a pre-launch campaign using teasers to generate buzz and expectation around the brand. Then we released the date and time of the event. This Social Media case brought to light the wear and tear caused by the daily routine and how Corona can solve it all by helping you find your beach.